California will restrict farmers’ use of certain pesticides near schools ac- cording to a new rule announced this November. Taking effect Jan. 1, farmers will no longer be allowed to spray certain pesticides within a quarter mile of public K-12 schools and li- censed daycares from 6 a.m. to 6 p.m. during the school week. While we are thrilled to see this statewide progress, locally we continue to experience the use of toxic pesticides in our public spaces and schoolyards. 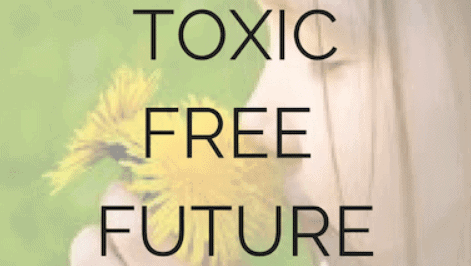 Sonoma County, now more than ever, needs to hold onto this vision of a toxic free future. With contamination from ash and hazardous debris in runoff from burned areas, our watershed needs even more protection. This disaster reinforces the danger of depending on toxic materials in our everyday lives, because ultimately, they will end up in our environment. Since SCCA launched the Toxic Free Future campaign in June, we have met with the department heads of key County departments responsible for public land management. These include the Agricultural Commissioner, Water Agency, Regional Parks, General Services and Public Works. We’ve also met with multiple supervisors and continue to work directly with staff to move forward a County wide centralized pesticide management plan. We need to create transparent reporting, identify a reduction goal and outline a work plan to reduce synthetic pesticide use. We also are working with the Assistant Superintendent of Santa Rosa City Schools, André Bell, to also reduce synthetic pesticide use at schools. Over two hundred community members joined our panel discussion at Susan Moore’s No Name Women’s group in September. Erin Mullen from Landpaths proved that large scale land management with- out synthetic pesticides is possible. Mara Ventura from North Bay Jobs with Justice spotlighted the disproportionate impact of pesticides on low income landscapers and mi- grant workers. Nichole Warwick from Daily Acts shared her story of surviving environmentally caused cancer and the environmental health impacts affecting children in Sonoma County. Supervisor Lynda Hopkins offered her perspective as an organic farmer, and Megan Kaun ignited hope as a mom turned super activist. We agree that we have to redefine “normal” and get these toxics out of our environment and homes, for our health and for the health of our planet. 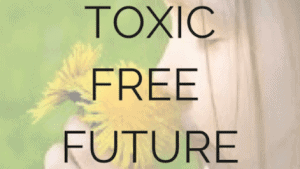 Go to our Toxic Free Future campaign page to learn more and email your elected officials today!